The article is freely available. Studies reviewed Studies that analysed prospectively the association between adherence to a Mediterranean diet, mortality, and incidence of diseases; 12 studies, with a total of 1 574 299 subjects followed for a time ranging from three to 18 years were included. Results The cumulative analysis among eight cohorts (514 816 subjects and 33 576 deaths) evaluating overall mortality in relation to adherence to a Mediterranean diet showed that a two point increase in the adherence score was significantly associated with a reduced risk of mortality (pooled relative risk 0.91, 95% confidence interval 0.89 to 0.94). Likewise, the analyses showed a beneficial role for greater adherence to a Mediterranean diet on cardiovascular mortality (pooled relative risk 0.91, 0.87 to 0.95), incidence of or mortality from cancer (0.94, 0.92 to 0.96), and incidence of Parkinson’s disease and Alzheimer’s disease (0.87, 0.80 to 0.96). I take Olive leaf extract because I heard from a website that it helps build up the immunity in people with Celiac Disease (I tested positive for Celiac Genes).My bottle says 500mg,but I heard on another science page that 100mgs was enough so I take One 500mg pill every FIVE days-which equals 100mg a day . 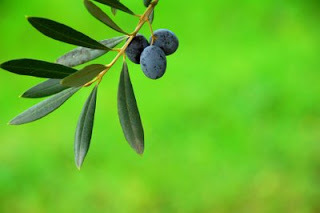 Olive Leaf has many other benefits for all people AND I haven't been diagnosed with actual Celiac Disease yet via a blood test.